Today’s businesses face countless threats to their reputation and bottom line. Is your organization prepared? At the Crisis Communications Conference, May 9-10 at Nebraska Medicine in Omaha, Nebraska, you’ll discover how to tackle everything from social media rumors to data breaches. Learn from experts at Muck Rack, the Centers for Disease Control, Ben & Jerry’s and more. Muck Rack CEO Greg Galant is co-presenting with investigative reporter Tony Kovaleski. Register now and use this link to get the special Muck Rack Discount. After scientists at the Fish and Wildlife Service wrapped up a comprehensive analysis of the threat three widely used pesticides present to hundreds of endangered species, Interior nominee David Bernhardt intervened to block the report. Thanks to details revealed in more than 84,000 pages of Interior Department and EPA documents obtained via Freedom of Information requests, Eric Lipton of The New York Times has the full story on how Bernhardt, then the deputy secretary of the interior and a former lobbyist and oil-industry lawyer, intervened. OK, now...what? Because Matthew Cantor of The Guardian (note: NOT The Onion) is reporting that NASA has cancelled its first all-female spacewalk, citing lack of suit in woman’s size (82,000+ shares). “Umm can't they just make a new suit. It's NASA,” Joshua Topolsky points out. Pretty sure even NASA Barbie had this one figured out. But just so we’re clear, this is a real thing that happened, and you can read more about the “wardrobe malfunction,” which is how Lindsey Bever, Kayla Epstein and Allyson Chiu put it, at The Washington Post. “Humanity: Able to land a rover on Mars and communicate with it, or have a probe get close to a comet hurtling through space. Also humanity: Hmm, we don't seem to have this in your size, Woman Astronaut,” tweets Olivier Knox. Chris Taylor says, “If I were a woman I would just be furious all the damn time,” and that pretty much sums it up. Who said there would be no indictments? Brian Melley and Larry Neumeister of AP News report that Michael Avenatti was arrested Monday on charges that included trying to shake down Nike for as much as $25 million by threatening the company with bad publicity. Carol Rosenberg is reporting from the Gitmo war court for The New York Times, in partnership with the Pulitzer Center on Crisis Reporting. Her latest dispatch reveals that the U.S. is said to have tapes of alleged 9/11 mastermind Khalid Shaikh Mohammed plotting with co-conspirators about the plot months before it took place. Josh Gerstein is on “DISPARAGING NICKNAME WATCH: So, we had Mr. Magoo, Mr. Peepers and now we have Mister Rogers. And, yes, we are living somewhere between the 50s and the 70s.” He links to the scoop by Courtney Kube and Carol Lee of NBC News, Mike Pence talked Dan Coats out of quitting the Trump administration. Yesterday we asked: On March 25, 1957, U.S. Customs seized copies of what poem on grounds of obscenity? Your question of the day for today is…Who recently became the first woman to fly to space on a commercial vehicle? 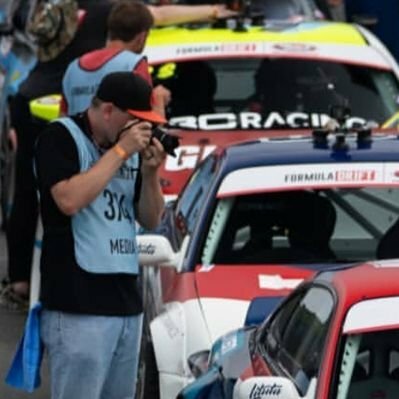 Today’s featured journalist is Danny Korecki, a freelance automotive writer based in Hanover, PA. Danny’s writing has appeared in Autotrader, CNBC, Right Foot Down, The Drive, TeamSpeed and elsewhere. He also runs @thehoonigans subreddit and works as an analyst at PayPal. To find out more about Danny and see some of his work, check out his Muck Rack Profile here.